You may well have an understanding of what your timber building will look like in your head, but we do have to work within the confines of the materials we use. The one thing we check carefully when it comes to your roof is the load and aesthetics. Additionally, to reduce the risk of wind driven rain getting under the slates we need to increase the pitch, which increases the weight and the overall height. This may impact on planning permission. Well, you get the picture. But we have just unveiled a superb material that is not only going to help with planning, it is also rather pleasing on the eye. Not only does it look like natural slate, it weighs much less and even better news – it’s very kind to the budget. We've trialled it and it's even passed muster with our very own John Shields himself. It's the classic look that we particularly like as it mimics natural slate, a look that is achieved because the tiles are authentically shaped with textured surfaces and riven edges moulded from natural slate. The limestone and polypropylene materials used combine in harmony meaning they will not crack, break or delaminate, giving proven durability with a 40 year manufacturer’s guarantee. With a choice of 6 standard colours and a minimum roof pitch of only 14 degrees, you can match your design perfectly, meaning you can relax when you 'take a load off' and enjoy your new timber building in style. 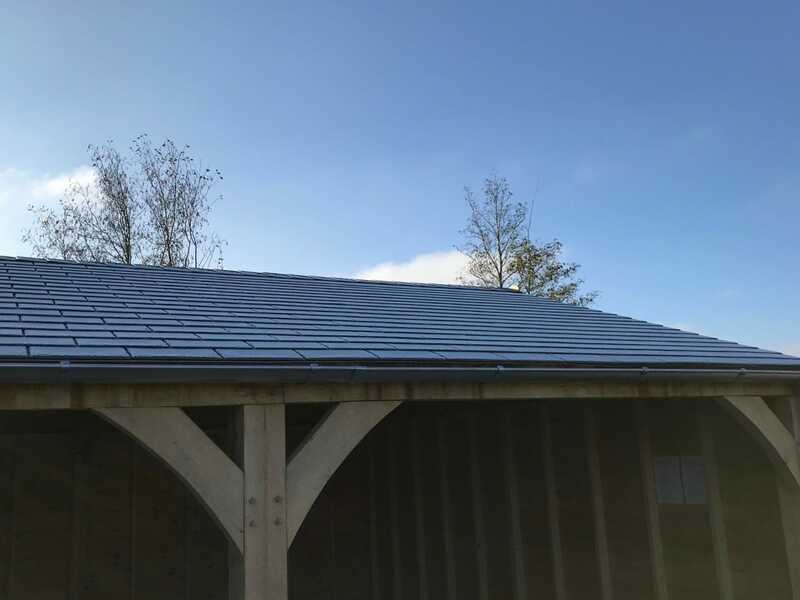 To check out this slate style finish come and look at the Oak fronted Carport and our roof samples here at our display site in North Tawton.